I can’t believe it. I’m officially half way through FNE Movie Month! Recently I’ve been watching some pretty big budget blockbusters and more well known movies. Well today I thought I’d change it up a bit with a smaller, less well known movie with not really well known actors - although you may recognize their faces from their TV shows. Today’s movie is the 2012 film Safety Not Guaranteed starring Aubrey Plaza (Parks & Recreation), Mark Duplass (The League) and Jake Johnson (The New Girl). And I was interested to find out that the writer (Derek Connolly) and director (Colin Trevorrow) will be collaborating next on Jurassic World (yes, Jurassic Park 4) - so this movie obviously make an impact on the right people…That people being Steven Spielberg I assume. And by the way - I loved this movie. What’s it about? A writer (Johnson) from “Seattle Magazine” takes two interns (Plaza and a young male college student played by Karan Soni) to investigate the story behind this classified ad. We pretty quickly learn that Johnson’s character, while there to do the story, is really also there to look up an old flame. This allows Aubrey Plaza’s character Darius to take the lead on the odd man that placed the ad - Kenneth, played by Mark Duplass. Throughout the movie, we learn more about Kenneth and how seriously he takes his “mission” and Darius learns that maybe there’s more to Kenneth than just a great article topic. Is this guy for real? Is he just a nut job? Is he just a prankster? For that, you will just have to watch the movie yourself. It’s only a little over 90 minutes long and it’s currently streaming on Netflix. I highly recommend this movie. It’s funny, it’s sweet, it’s quirky. In a first for #FNEmoviemonth, I am also sharing with you the trailer of the film, because I really do hope that you discover it. One final thing I want to touch upon is that this is, in the most basic ways possible, based on something that actually happened. No, not the story of our characters - but the ad that fuels this story - that did actually happen. So as I finish this, my 15th post in 15 days, I can just say that I am so happy that I started doing this project. It’s allowed me to see a lot of fun movies that I’ve been putting off, and it’s pushing me to post and write more on the site. And it allowed me to see this really cool movie. 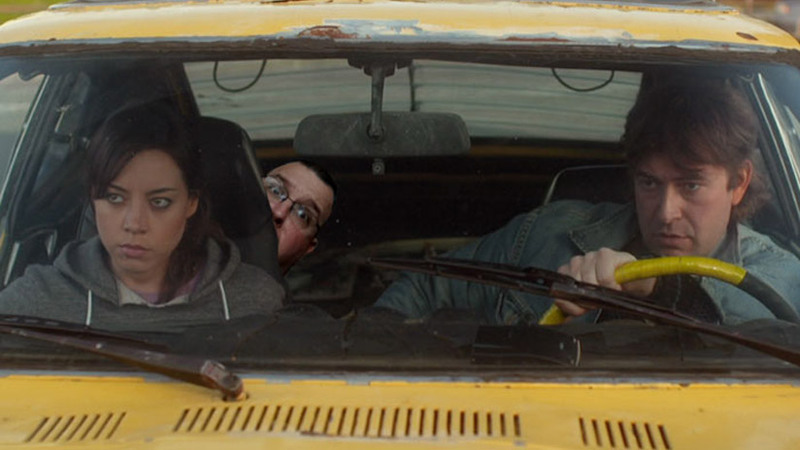 I hope you take the chance to see it too, but remember…safety - not guaranteed.